I’ve previously reviewed Elementor, the Divi theme, Beaver Builder – and even compared their performance. However, a full Thrive Architect review was long overdue. Until NOW. Enjoy! Love ’em or hate ’em – WordPress page builders are here to stay – even with Gutenberg in WordPress core. Me? I luv ’em! Their major pros outweigh any minor cons. Without page builders, WordPress would’ve been relegated to the ranks of Joomla, Drupal, and countless other CMS and blogging relics from the past. I write these reviews for you – to help you find the simplest and most effective tools for your website – to help you spread your wings online. You can show your appreciation and help support my future work by purchasing via those links. Thank you – much love and appreciation! Thrive Themes isn’t German, though. It originates from Switzerland. fond of donating to charity. What sets Thrive Architect apart? You can build a landing page in any page builder. Building landing pages is one of the biggest reasons – if not the biggest reason – many people use page builders. Landing page creation isn’t just a matter of columns and full-width background sections. Thrive Architect takes everything (especially landing pages) a step further. In this review you’ll find out exactly why and how it does more than Divi Builder, Beaver Builder, and Elementor. What sets Thrive Themes and their page builder Thrive Architect apart from the competition, is the ultra strong marketing bias. That’s not to say it isn’t a great tool for web designers and graphic designers alike. But if you’re an online marketer – or simply have a business that you’re marketing – Thrive Architect is a strong page builder to seriously consider. All Thrive Themes’ products are made to help you sell. Lead-generation, conversion-optimization, scarcity tactics… it’s in the DNA of everything from Thrive Themes. That’s clear to anyone visiting their website. In all honesty, a website that hyper-salesy, with call-to-action buttons like “Yes! I Want This Now!” and auto-playing videos in the style of internet marketing gurus like Ryan Deiss, Frank Kern, Brendon Burchard, Eben Pagan, et al… It’s all a bit too hyped-up for my Northern European, Scandinavian personality. Still, no one (myself included) can argue against the relevance of powerful marketing plugins like Thrive Leads, Thrive Quiz Builder, and Thrive Ultimatum. Nor will I argue against it. Like you: we all need such tools. You see, a few months ago, I decided to thoroughly test all of Thrive Themes’ products. Not just to write reviews. Rather, it was to scratch my own online marketing itch. When I recently migrated my whole website from the Rainmaker Platform back to WordPress, I decided to embrace it as an opportunity to find and test the best WordPress marketing plugins – for my own website, as well as yours. Win-win. That’s why this review serves you the straight facts about Thrive Architect – and in particular from a marketing perspective. Why not Beaver Builder? Or Elementor? Si señor (or señorita): indeed, Beaver Builder, Elementor, and Divi Builder will all let you create an opt-in form and accomplish similar marketing tasks. Yet, Thrive Architect – especially in tandem with Thrive Leads, Thrive Ultimatum, and Thrive Quiz Builder – has the potential to take our online marketing a step (or ten?) further. At least “on paper” (virtually speaking) Thrive Architect has an edge. But does it live up to its potential? In this review I’ll reveal Thrive Architect’s attractive attributes – as well as point out its drawbacks and caveats, as I see them. Thrive Architect is powerful, but not perfect. Thrive Architect is Thrive Themes’ take on a WordPress page builder. Until August last year, it was known as Thrive Content Builder. And before that, it was Thrive Visual Editor. Is the name change a mere rebranding exercise – or a completely new page builder? Released in August, 2017, as “a complete overhaul of Thrive Content Builder”, Thrive Architect is new and vastly improved. Some users of Thrive Content Builder did experience issues upgrading – something I don’t like seeing. For new users though, Thrive Architect is a better product, with a brighter future in mind. Regarding the name change, it’s a welcome change, IMO. “Thrive Content Builder” always struck me as a somewhat odd, generic name. It’s a page builder, not a content builder. A “content builder” would be in the realm of word processors, text editors, image editors, and video editors. Getting confused is easy in a world where page builders have blurred the line between plugins and themes, for a long time now. Back when Divi was only available as a theme – it was in fierce, direct competition with Beaver Builder – a plugin. Still, Beaver Builder does come with its own, tailor-made theme, but only if you purchase the Pro plan﻿. Later, Divi was released as a stand-alone page builder plugin named Divi Builder. Adding to the confusion, Thrive Architect is made by Thrive Themes. Yet they aren’t anywhere near as known for their themes as they are for their powerful marketing plugins. Thrive Plugins would be a better fitting brand name. In our upcoming theme, Thrive Architect will be directly integrated. That means there is basically no separation between the theme and Thrive Architect. Shane Melaugh, in a comment on The Content Lock-In Problem: What Happens With Your Thrive Architect Content if You Delete the Plugin? 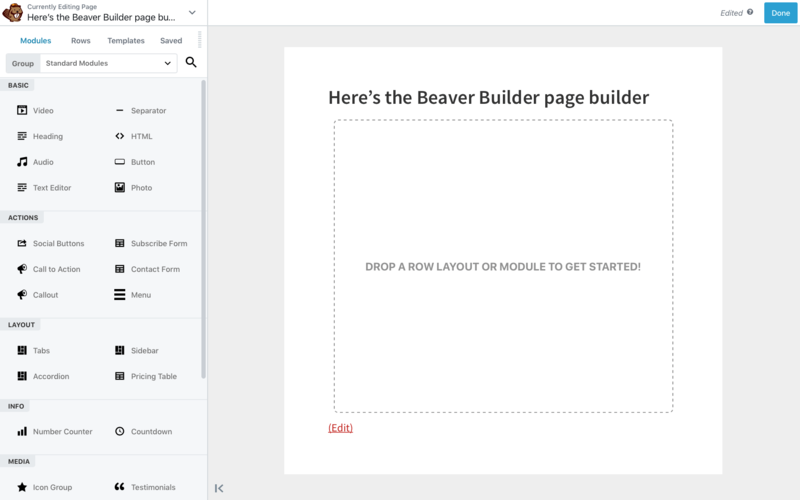 Beaver Themer, Beaver Builder 2.0, Gutenberg – and maybe an upcoming Thrive Architect theme? We live in interesting times indeed! it shall leave usable content behind when deactivated (this excludes Divi Builder from further consideration). its developer shall inspire confidence in the page builder’s long-term future, since switching is a time-consuming, manual task. the page builder itself shall enjoy growing market-adoption, further reducing the risk of abandonment by the developer. Does Thrive Architect live up to those basic requirements? Yes. Thrive Architect will leave your content (text and images) “behind” in the standard WordPress post/page editor, should you decide to stop using it or switch to another page builder. Obviously, it will be without the layout, but won’t be entangled in a shortcode-mayhem, as is the case with Divi Builder. Yes. Thrive Themes seem to be in it for the long haul. They’re very actively engaged in content marketing to expand and educate new customers, as well as keeping and empowering their their existing users. Yes. According to Google Trends, Thrive Themes are a stable, thriving (pun intended) business. That said, they could grow more. Especially considering their strong products. And they should grow more, considering today’s fiercely competitive page builder market. I expect Thrive Themes to grow a lot in the coming years. Their product-portfolio is unique and caters to a specific niche (marketing). When Gutenberg becomes the standard WordPress editor (with rudimentary page builder features) it may bite into the profits of more “generic” page builders like Elementor, Beaver Builder, and Divi Builder. That leaves more space for Thrive Themes’ conversion-focused products. And the market for that, will only expand – and is seemingly insatiable:) Everyone wanna sell more, faster – right? Gutenberg doesn’t have any of Thrive Architect’s marketing features. Furthermore, Thrive Architect isn’t their only product – Thrive Themes’ business is built upon more than a page builder. Investment-wise, their product-portfolio is well-diversified, so to speak. From that perspective, Thrive Architect seems to be a pretty solid investment. How good is it from a quality perspective then? Zero “content lock-in” in Thrive Architect! When considering Thrive Architect, it’s important to realize it doesn’t suffer from “content lock-in” like Divi Builder does. In fact, Thrive Themes went to great lengths to ensure your content is as safe as possible, should you want to stop using the plugin at some point in the future. Here’s what happens with your content, when you deactivate the plugin: every type of content that WordPress supports will still be displayed. Everything else will be hidden. That means: Text and headings remain. Images remain. Lists and styled custom lists remain in the content as lists. Content boxes, columns and other layout elements disappear, but any text or images inside them remain visible on the page.​ Buttons turn into text links. There are no shortcodes or artifacts in your content. All of this preserved content is fully editable using the default WordPress editor. WordPress basically only supports text and images and no layouts beyond a single column. That means: your content will probably look very different after deactivating Thrive Architect, if you’ve created interesting layouts and used many of our elements. However, the content remains clean and visible. Although it’s also worth noting that Thrive Architect is the only visual editor out of the ones I’ve tested that doesn’t add spaces and side margins, change styles or otherwise modify the layout of the content, compared to the default WordPress editor.​ That means you can create a simple piece of content consisting only of text and images in Thrive Architect and it would be indistinguishable from content created with the WordPress editor. As you can see, we’ve gone to great lengths to ensure that you never lose your content. Trust me, this is not easy to accomplish. But we fully understand that your content is unique and that it’s hard work to create it, so we want to give you that peace of mind, knowing it will always remain. That wasn’t the case in Thrive Content Builder (the previous version of Thrive Architect) as pointed out by Pippin Williamson in his post WordPress Page builder plugins: a critical review. In it, Pippin points out the content lock-in problem as the only flaw he could find. Apart from that, he only had positive things to say about Thrive Themes’ page builder. Now, I don’t mean to put words in his mouth, and he was writing about the previous version of Thrive Architect. Perhaps his opinion of Thrive Architect would be different. Still, it’s a strong indicator of the quality we can expect from Thrive Themes! Note: when Pippin writes Thrive Visual Editor, he is referring to Thrive Content Builder, as stated elsewhere in his post. I think the reason for the malapropism is that the plugin folder is still named “thrive-visual-editor” in both Thrive Content Builder and Thrive Architect. It’s simple and intuitive. While all page builders strive to build an intuitive layout builder, I think Thrive Visual Editor has possibly done it the best of all, or very close to it. There is really only one problem I found with the plugin. Shortcode parsing works, script loading works, everything works great in fact, but there is one major issue that, for me at least, is serious. The Thrive Visual Editor plugin has 100% content lock in. Pippin Williamson in ﻿WordPress Page builder plugins: a critical review. Vastly improved and with content lock-in no longer an issue, Thrive Architect is absolutely in the top 3 of page builders worth our consideration. How does it compare vs Beaver Builder and Elementor then? What’s not to like about Thrive Architect? This wouldn’t be an honest and useful Thrive Architect review, if I only highlighted the good stuff. Few products are perfect – most can use a little improvement. Below are the areas I feel you should know about. Whether they’re dealbreakers or minor trivialities, is for you to decide. Afterwards, we’ll move on to the good stuff, of which there’s plenty. Thrive Architect’s UI could be more refined. Not just design-wise, but also textually. Some labels are cryptic. Grammatical errors and misspellings have also been spotted. Personally, I can’t declare myself a fan of the muted green color used in the UI, either. I can live fine with it, it just feels a bit dated. In general I want the UI of a design tool to be subtle – and preferably grayscale. Elementor has a better UI. Beaver Builder 2 however, has a UI superior to both of them. It’s clean and easy-to-understand for anyone. 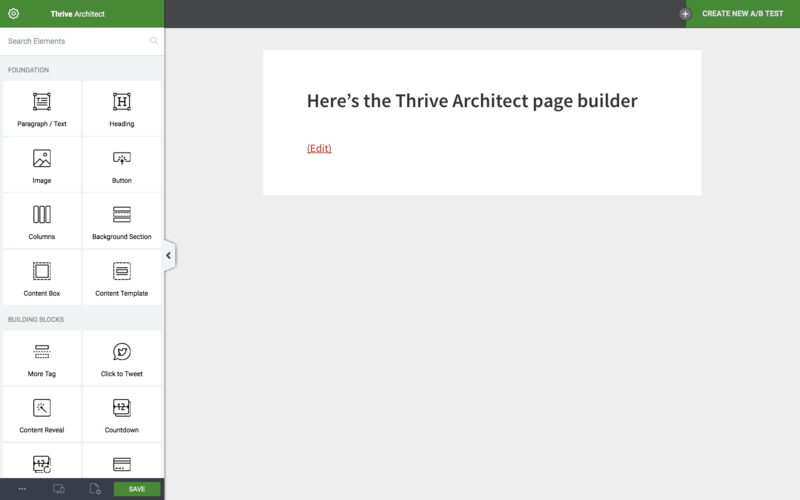 Currently, it isn’t possible to use WordPress widgets on Thrive Architect landing pages. Inserting widgets is possible in both Elementor and Beaver Builder, so we may see it in a future version. Sadly true for many many web-based applications: they’re biased towards Chrome, and as a result work best in that browser. The only real bug I’ve experienced in Thrive Architect, has been of that kind: something (saving my landing page) didn’t work in Safari… nor in Firefox… worked fine in Chrome. As I’ve written before in various reviews of WordPress page builders and themes: flexibility often comes at the cost of complexity. If you aren’t proficient in CSS and the way it works: Thrive Architect may lead to some occasional frustration. Why? Because you get full control over responsive design. How mobile-friendly (or unfriendly) your page is, will at times be in your hands, and depend on your own skills and knowledge of CSS. The alternative? Go with either Elementor or Beaver Builder – both are extremely good page builders. Not as marketing-oriented as Thrive Architect, but really capable and magnificently well-crafted tools. Do you want a tool that’ll let you do pretty much anything you can imagine – accepting that the flexibility comes at the cost of occasional complexity? Or do you want a tool that may at times limit what you can achieve – but is easier to use and more foolproof? Those are vital questions only you can answer. With the cons addressed, it’s time to look at some of Thrive Architect’s many positive traits. Below, I’ll highlight a few of the ones I personally find most useful. Thrive Leads: Easily place opt-in forms anywhere on your pages. Reuse your forms, for a fast workflow. And with the clever SmartLinks feature, you can control what content new visitors see, vs the content existing subscribers see. Relevance is the key to success in a world full of fluffy, pushy, superficial marketing. Set yourself apart by being relevant, never annoying. A superb, meaty marketing book (zero fluff) on that, is Digital Relevance by Ardath Albee. Joe Pulizzi (Content Marketing Institute) recommended it, and now I’m recommending it. It is that good. Get it from Amazon﻿! Thrive Quiz Builder: Embed quizzes on any of your landing pages. The visitor can complete the whole quiz/test/survey without any page reloads. Super smooth! And best of all: you can add tags to your email marketing service (f.e. MailChimp) based on the answers your prospect provides. Super powerful! Thrive Ultimatum﻿: Likely the most advanced scarcity plugin for WordPress. Put it to use on your landing pages. Time-limited offers will boost your conversions! Best of all: the scarcity is real – not fake. Once it times out, the offer is gone. Seen from that perspective, the time-limited discount is a sales-boosting, yet genuine offer to the visitor. A win-win for both your business AND customer. The way it always should be, right? The plugins above all integrate directly with Thrive Architect. Cool thing is, you can get them all + a few other plugins + the Thrive themes, as part of the Thrive Membership. A good, affordable way for you to test all Thrive’s plugins at no risk (there’s a 30-day money back guarantee). If you’re using one or more of the above plugins, but another (WordPress) page builder like Elementor, Divi Builder, or Beaver Builder – you should at least consider switching to Thrive Architect. And if you’re already using Thrive Architect – but not the above-mentioned Thrive Themes products: you really owe it to yourself to check them all out. Why miss out on several ways to seriously beef up your page builder? Thrive Optimize – integrated A/B split-testing! New to the family, is Thrive Optimize – an optional add-on for Thrive Architect, not to be confused with Thrive Headline Optimizer. With it, you can A/B split-test your way to conversion-heaven. All directly inside WordPress. No need to mess around with Optimizely, VWO (Visual Website Optimizer) or whichever other split-testing service you’ve been using. Another positive worth mentioning: based on my preliminary tests, Thrive Architect is one the fastest page builders around! Despite all its many features, it’s designed and coded with high performance as a high priority. I can’t yet conclusively say that it’s the fastest page builder when compared vs Elementor and Beaver Builder – but it’s certainly so fast I’d put my money on Thrive Architect if I were to bet on the fastest page builder among those three! Real tables! Mobile-friendly and sortable! In Thrive Architect, you can create tables. That’s not a given, given that neither Elementor nor Beaver Builder have tables. They have pricing tables, but not general-use tables. Even better: in Thrive Architect, the tables are mobile-friendly and the rows are sortable! How cool’s that??! You can read more about the tables here. There are many icon sets available out there. Like me, you may have a preferred icon set that fits your brand’s visual identity. To me, custom icons are a must-have feature, and one reason I’m not using the Elementor page builder, which currently won’t let you upload custom icon sets. Thrive Architect – and Beaver Builder – both do. Lastly, I should mention Thrive University – training tutorials and full courses about online marketing. There’s text- and video-based content, and it’s overall good stuff. Thrive Themes are passionate and serious about online marketing, that’s for sure. as a membership, including all the other Thrive plugins and themes. It’s quite good value, and a great way to try all of them on your own website. ﻿as a one-time purchase. Buy Thrive Architect for a one-time cost of just $67. There’s no annual renewal to get plugin-updates. That’s REALLY cool! The Thrive Membership and the Thrive Architect one-time purchase are both great deals, depending on your wants and needs. So… Thrive Architect vs Elementor vs Beaver Builder… Which one is right for your website? What are the pros and cons of each page builder? Marketers will love Thrive Architect for its powerful marketing-features. and full integration with the rest of Thrive Themes’ marketing plugins. Designers (whether UX, web or graphic designers) will love it for its versatility and fine-grained controls. Especially when designing sites that need to be pixel-perfect on mobile and tablets alike. Business owners who just want an all-round page builder to get the job done fast and free of friction, will be better served by Beaver Builder or Elementor. It’s not that Thrive Architect is “difficult” to use, Beaver Builder and Elementor are simply easier to use. Thrive Architect’s UI is efficient and fairly easy to understand. Yet, Elementor – and especially Beaver Builder – beats it on ease-of-use, no doubt. You get 80% of Architect’s power, with 20% less fuss. There’s less risk of “messing things up” in Beaver Builder and Elementor. Did you enjoy this Thrive Architect review? Any questions or stones left unturned? Feel free to ask or voice your opinion in the comment below! Well written reviews. Its like a flash back to when the News was actually the News instead of ratings and tailoring to some specific group. Its refreshing to read a review that isn’t obviously written to promote some source of money and provides useful information with an understandable verbiage. (applause). And I like your sense of humor. (more applause). I feel like I am finally making progress on narrowing down on a choice. I’ve spent the majority of the day reading all the ones relating to page builders and testing. The only thing I would suggest is a date (or current software reviewed version number) somewhere on the post because tech changes so fast it helps with the relevance of the review. It also reduces any apparent conflicting statements that were made at different times. I was wondering if you have ever looked at Coffee Cup RSD as it is outside the WP world. Back in the day Coffee Cup editor was the go to. I’ve looked at RSD and it seems quite powerful but with a higher learning curve. It isn’t cheap but it is a one time buy. One big plus and minus would be the lack of plugins. No need to worry about them working with the next update, but without the variety to choose from and innovation from the crowd. I’m launching a new business endeavor. I am degree’d in ME and Biology as they didn’t have a degrees in Mad Science. The new endeavor would be an outlet and a means to fund my Madness. The funding part will need some sort of e-commerce package. Do any Thrive, BB, or Elementor have any issue with this or is there one that you think is best for e-commerce? I am considering shopify as it works with my current merchant account? I didn’t see any reviews of yours on e-commerce platforms. I dislike coding as an allergy sufferer dislikes rolling in their allergen. But I can do it. Once setup in Thrive how often do you think the code-y parts would need to be worked on for a fairly static site with the occasionally new Mad Product release? I certainly like the pricing setup on Thrive. I like buying something rather than bleeding green to use it. Are there demo sites to play in for Elementor and Thrive? I didn’t find any and Thrive’s site is soooo noisy I got tired of looking. Google didn’t seem to know of any either. I have been using thrive architect for about 3 months and built a whole website with it. It is a really amazing page builder. Their is one big flaw and I’m wondering if you have a suggestion to get around it. You can’t build any global elements like a header, navigation or footer that gets updated globally. You can make templates and use those, but they are not connected so if you want to change something, you have to make that change everywhere you used that template. The beaver builder themed plugin looks really good for this. I wish they had something like this for thrive. So my question is, is there any plugin or tool I can use to build global headers and footers and still use thrive architect so that I can use all their other great marketing plugins too? For that I’d look into a theme that provides you with the header and footer options. Alternatively wait, and cross your fingers: there’s that rumored new Thrive Themes theme coming. My guess it the new Symbols feature in Thrive Architect has been part of its development. This stuff is pretty well designed, quite fast, and has decent options for online marketers that you have to look really hard to find somewhere else with other themes. Thank you for your reply, I really appreciate it. My motivation for moving from Weebly is to get more flexibility with my site, and hopefully easier to manage SEO (I am planning to use Yoast SEO), and a site that is more Google appealing. Thanks for sharing your reasons for moving to WordPress from Weebly. I think WordPress is the better option, because of its flexibility and open source nature. Your content and site in general is safer – not built on a proprietary platform. I myself recently switched back to WordPress from Rainmaker – a platform built on WordPress, but with many proprietary parts. It wasn’t a move I wanted to make. I had to, as they changed their whole business-model from a SaaS to a digital marketing agency. Morale: better to build one’s site on an open platform, as far as humanly possible. 1) Move my site from Weebly to Word Press – I am a Fine Artist – My Aim – To have a clean minimalist, modern and streamlined site that has improved SEO and eventually I can market from easily. 2) Build a new site for a fellow Fine Artist – Current Aim – to achieve a starter web presence and be editable by a totally computer illiterate person (she would not mind me saying this). Both sites need the usual array of home, about contact pages plus pages displaying art images, I have discovered for various reasons displaying individual images which I can link to blog posts about them works well compared to Galleries/portfoliois of images which I found clunky to update. I have read all you recent reviews on Divi builder, Thrive Architect, Beaver Builder and Elementor, I have almost no css skills and would prefer not to spend the time learning much css. What would you consider the most appropriate builder for each project? 1. 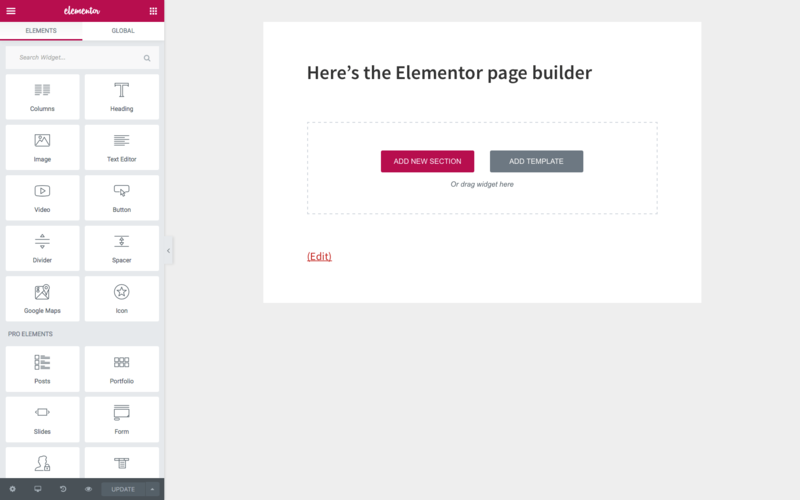 The best page builder if you have no CSS skills, would be Elementor or Beaver Builder. Thrive Architect being too advanced and flexible. Can I ask, out of curiousity: what are your reasons for moving the site away from Weebly? 2. 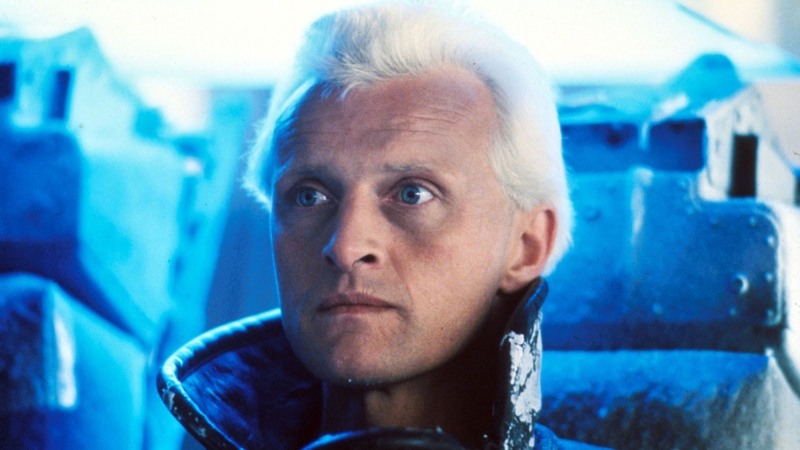 For a computer-illiterate person I would build the site in a way where that person wouldn’t have to enter the page builder interface at all, but could simply edit the site via various content areas. Gutenberg, the new WordPress editor (currently available as a free plugin from WordPress.org) springs to mind as a good candidate (unless you have the skills to create custom custent types etc – which you likely don’t). Gutenberg will provide basic page-builder functionality, but inside WordPress, and with less controls to mess around with. If using a page builder, I’d recommend Beaver Builder for it. It’s the simplest to use. I’d then create templates, so the client could easily use these for new pages – without the need to recreate pages from scratch.